A-1 Fire Protection specialize in the cleaning of commercial kitchens and appliances including kitchen exhaust systems. Our goal is to help you maintain a profitable business by ensuring that your equipment is kept clean from dirt, discount viagra buy oil, cialis generic try and grease; thereby eliminating the risk of a grease fire and assuring a safe environment for your employees and clients. Every year approximately 5000 restaurant fires are reported with total property losses reaching $80 million. These fires originated in the cooking area, and which then explode into the exhaust system and onto the roof where the fire can quickly spread. Grease fires burn very hot approximately 1400 degrees. With this kind heat, fire spreads very rapidly. Keeping a grease-free and fire-safe kitchen exhaust system can protect your restaurant from fire hazards. Regular and thorough maintenance of the hood and exhaust system will help to ensure a secure environment for cooking. A system that is safely working at ultimate performance will lead to a working environment that’s cooler, cleaner and more productive for the staff. 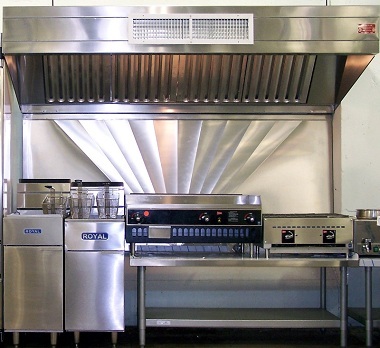 We understand the importance of a properly maintained kitchen exhaust system and what it means to your business. We also help make sure you’re always in compliance with the latest industry regulations.